Subject matter content for knowledge connect technology. Visit any lightbulb aisle at a hardware store and you’ll be presented with a brain-meltingly vast selection of bulbs, and a litany of questions. What features are important? What saves money? What doesn’t? 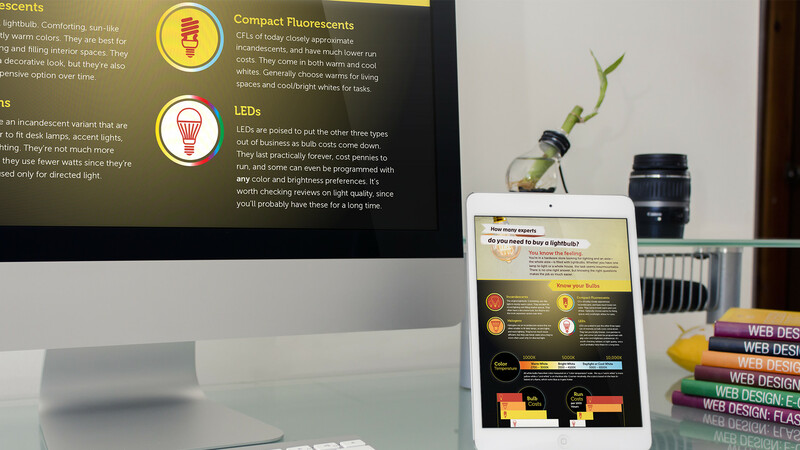 What’s the difference between one color temperature and another? 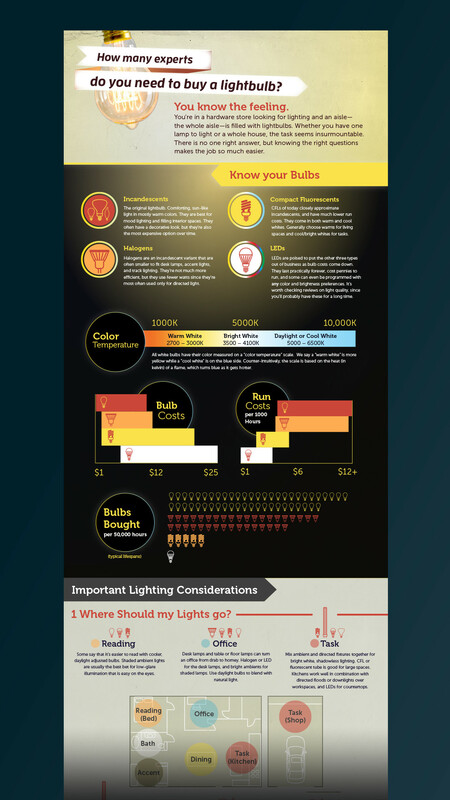 This infographic was created with the goal of reducing that confusion by providing context behind bulbs and what should be used in different situations and spaces.